Experience five days of luxury, all soundtracked by some of the best DJ’s in the game at Cassia Bali. 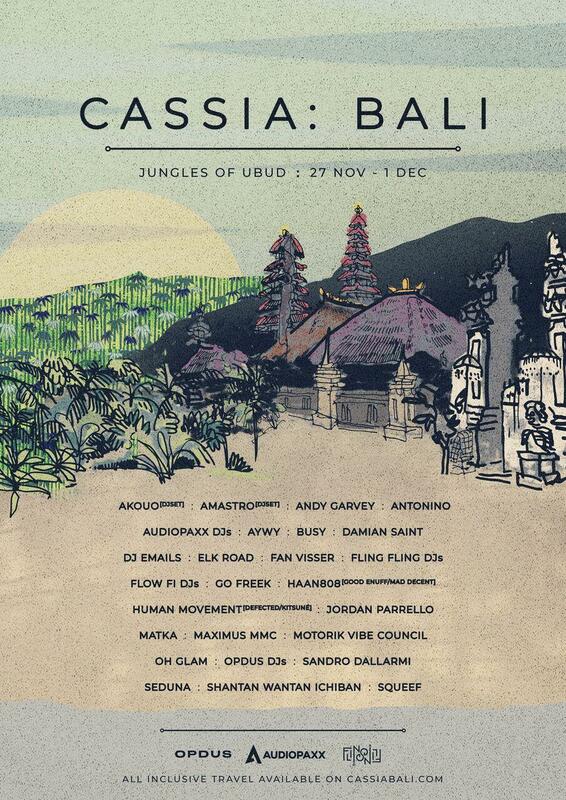 A fresh all inclusive destination festival happening from November 27 to December 1 at Bali’s lush Ubud Mansion Resort. Featuring Andy Garvey, Akouo, Human Movement, Aywy, Sandro Dallarmi, Shantan Wantan Ichiban, Motorik Vibe Council & more.